Ready for an amazing outdoor adventure with Nat Geo Kids? 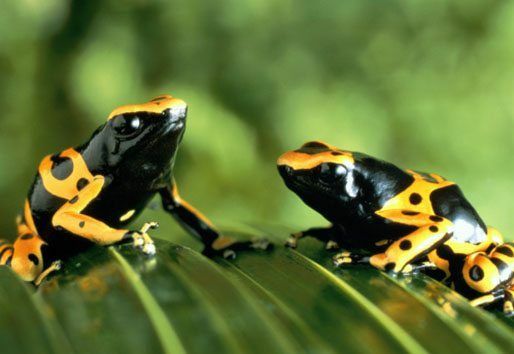 Then check out our awesome Amazon facts as we head into the depths of the Amazon rainforest! 1. The Amazon is the world’s largest tropical rainforest. Covering over 5.5 million square kilometres, it’s so big that the UK and Ireland would fit into it 17 times! 2. The Amazon is found in South America, spanning across Brazil, Bolivia, Peru, Ecuador, Colombia, Venezuela, Guyana, Suriname and French Guiana. 3. Running through the north of the rainforest is the Amazon river. Flowing a length of around 6,400km, it is the second longest river in the world. The longest is the river Nile, stretching an even longer 6,650km! 4. In 2007, a man named Martin Strel swam the entire length of the Amazon river! To complete his splashing jungle journey, Martin powered through the water for up to ten hours a day for 66 days! 5. Around 400-500 indigenous Amerindian tribes call the Amazon rainforest home. It’s believed that about fifty of these tribes have never had contact with the outside world! 6. 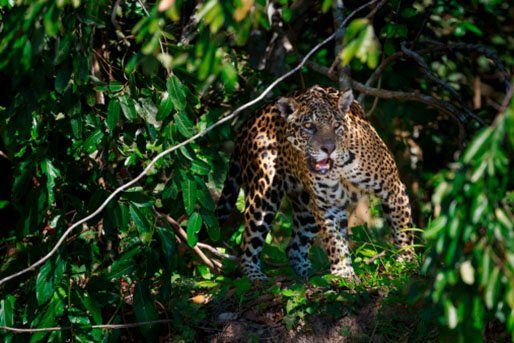 The Amazon has an incredibly rich ecosystem – there are around 40,000 plant species, 1,300 bird species, 3,000 types of fish, 430 mammals and a whopping 2.5 million different insects. Wow! 7. 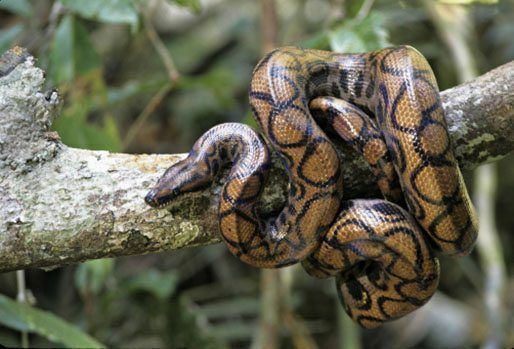 The Amazon is home to a whole host of fascinating – and deadly! 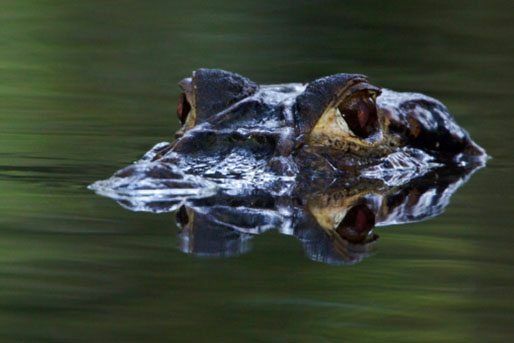 – creatures, including electric eels, flesh eating piranhas, poison dart frogs, jaguars and some seriously venomous snakes. 8. One fascinating fish found in the Amazon is the Pirarucu (also known as the arapaima or paiche). A menacing meat-eater, the pirarucu guzzles up other fish and can grow to nearly 3m long! And what makes it super deadly? It has teeth on the roof of its mouth and on its tongue! 9. This area of immense natural beauty is sometimes referred to as ‘the lungs of the Earth’. This is because the rich vegetation takes carbon dioxide out of the air, and releases oxygen back in. 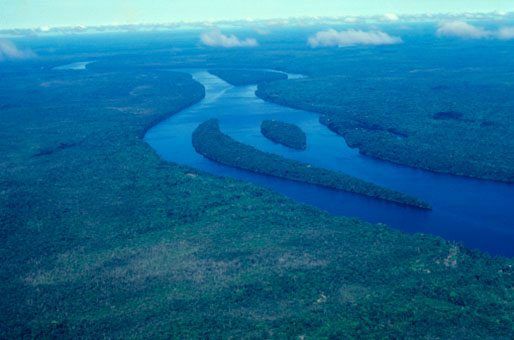 In fact, more than 20% of the world’s oxygen is produced by the Amazon. 10. Due to the thickness of the canopy (the top branches and leaves of the trees), the Amazon floor is in permanent darkness. In fact, it’s so thick that when it rains, it takes around ten minutes for the water to reach the ground! What do you make of our Amazon facts? Let us know by leaving a comment, below! This was really good for my project thank you for the info!!!!! I found them really interesting but a bit hard to pronounce some of the words. THIS HELPED MY GEOGRAPHY ASESSMENT. Hi Giselle, if you love turtles, then you'll love our turtle facts feature! Wow it helped me alot at school! This is GREAT another homework app that I can use. Best app ever. This really helped with my homework. I was writing a fact sheet on the Amazon Rainforest for kids (Im teenager) but I still found the facts interesting and I did not know the really large scale its spread out apon. I think this is great for all ages my kinda stuff!! Realy helpfull with my geografy HWK. The best ever website i have ever seen! 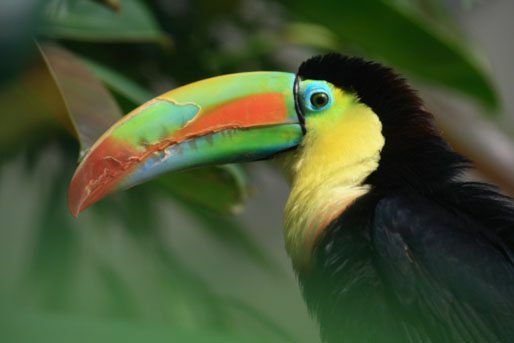 Lots of interesting facts,also did you know the amazon also has 390 billion individual trees no wonder more than 20 percent of the worlds air is produced by the Amazon rain forest mind blowing. Lets stop deforestation and save the Amazon! The lungs of earth! The entire world would come to an end if the Amazon rainforest is destroyed by humans. We should put efforts in conserving every part of this masterpiece of Mother Nature. Hello everyone. Im writing this to say THANKS and ITS AMAZING and it help me with my topic project so once again THANKS!! it is so good my son used this for his homework and the teacher said he was amazing!